Flp recombinase This part encodes the sequence for the Flp recombinase derived from the yeast Saccharomyces cerevisiae (Sadowski 1995). 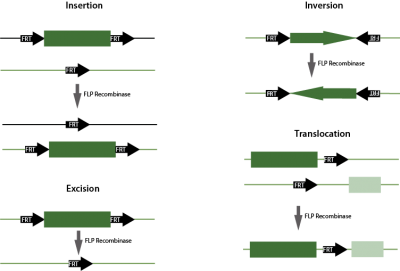 The FLP Recombinase recognizes FRT sites and promotes efficient recombination between two identical FRT recombination sites (Broach et al., 1982). Using the FLP/FRT system genomic engineering in different organisms can be done (Buchholz et al., 1998). 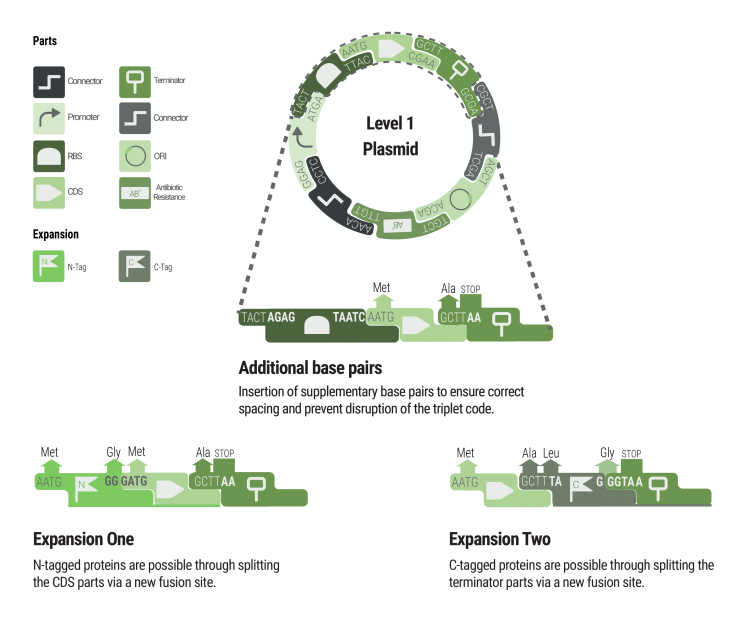 The system is similar to the Cre/Lox system. The FRT site consists of palindromic repeats separated by an 8 bp asymmetric core 5'GAAGTTCCTATTCtctagaaaGtATAGGAACTTC3'. Recombination between these sites can lead to insertion, excision, inversion, and translocation of DNA. In our project we used the FLP/FRT system successfully for genomic modifications in V. natriegens.